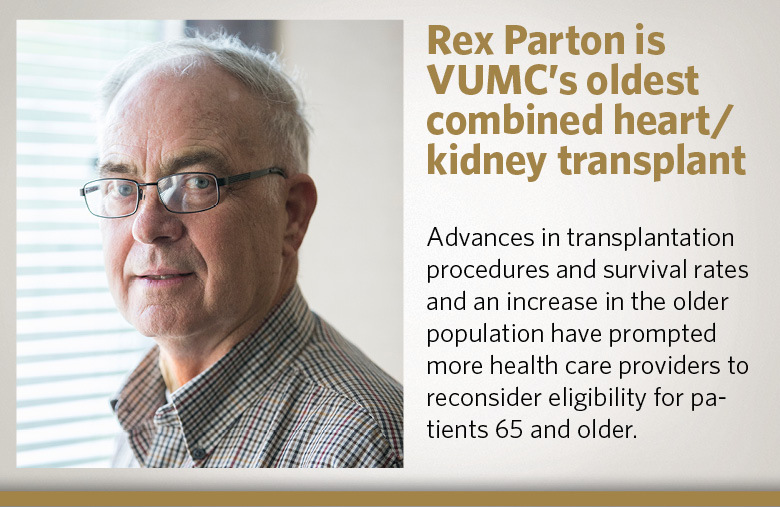 The Vanderbilt Division of Kidney and Pancreas Transplantation is one of the oldest and most experienced kidney transplant programs in the United States, having performed over 4,000 transplants since its inception in 1962. 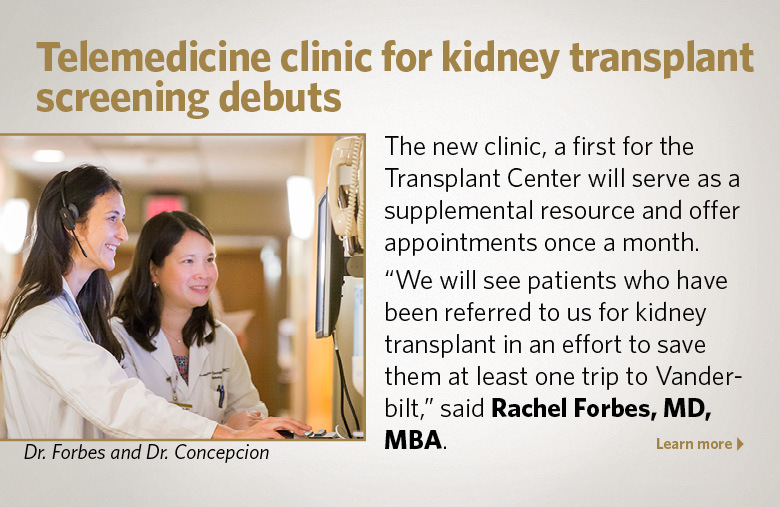 We are currently the third largest kidney transplant program in the Southeast. 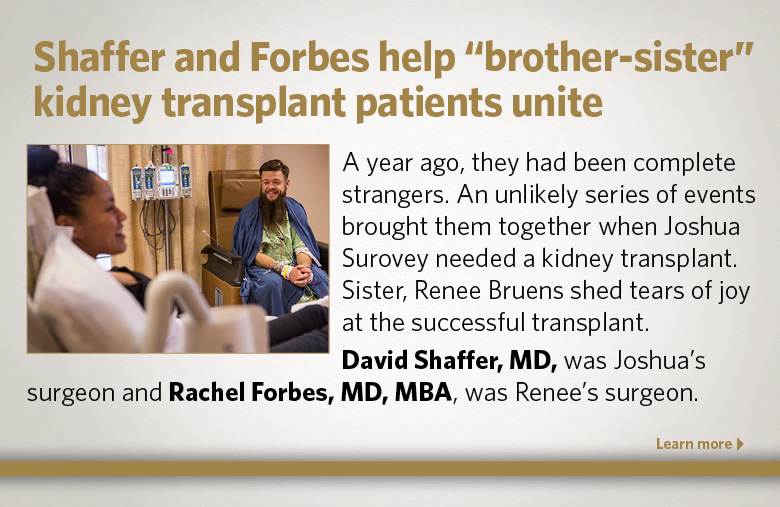 Surgeons perform cadaver and living donor kidney transplants, simultaneous kidney/pancreas transplants, and pancreas transplants alone. 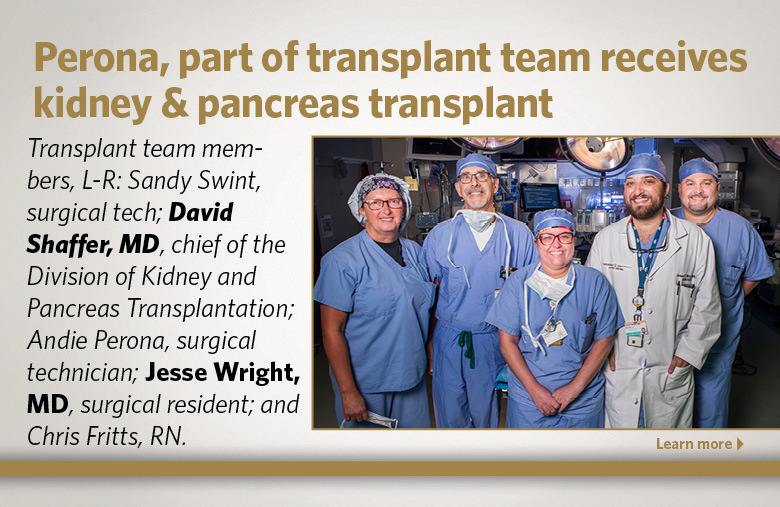 The Division was also the first transplant program in Tennessee to introduce the minimally invasive technique of laparoscopic donor nephrectomy for living donor kidney transplants, and now performs the largest number of living donor kidney transplants in the state.